If you're an avid watcher of my vlog channel you would have seen the giant IT Cosmetics package that landed on my doorstep a few weeks ago. Seriously. I'm still in awe at the size of it. I'm one lucky girl. Since that silence-inducing day I've been testing the new launches like a busy little beaver and am reporting back with the ones you need to try for yourself. Out of all the new products, the Brow Power Powder struck my interest first. I just finished up the pencil version of this and was just a few clicks away from purchasing a new one. I'm so happy I didn't because I love this powder even more. This is the first powder product I've tried for my brows (I know...and I call myself a beauty blogger!) and my brow game has been changed forever. It's so dang easy to do them now! It used to take me a good three to four minutes on brows alone, but with the help of the handy angled brush/spoolie combo they sent along as well, my brows are done in no time at all. Plus I love just how full and effortless they look with this method. I don't have to worry about making sure the pencil strokes look like actual hairs. Just throw the powder all over and I'm good to go. It's also the first time I ever used a brow gel and I officially get it now. Sometimes my brows will fade during a long day or get a mind of their own. The Brow Power Pomade is just a clear product on a tiny little brush that I run through my finished brows to keep flyaways at bay and product in my brows all day long. I'm sure any drugstore version could work too as it seems like a pretty simple product. The foundation struck my fancy next as I'm downright obsessed (isn't everyone?) with the Your Skin But Better CC Cream. 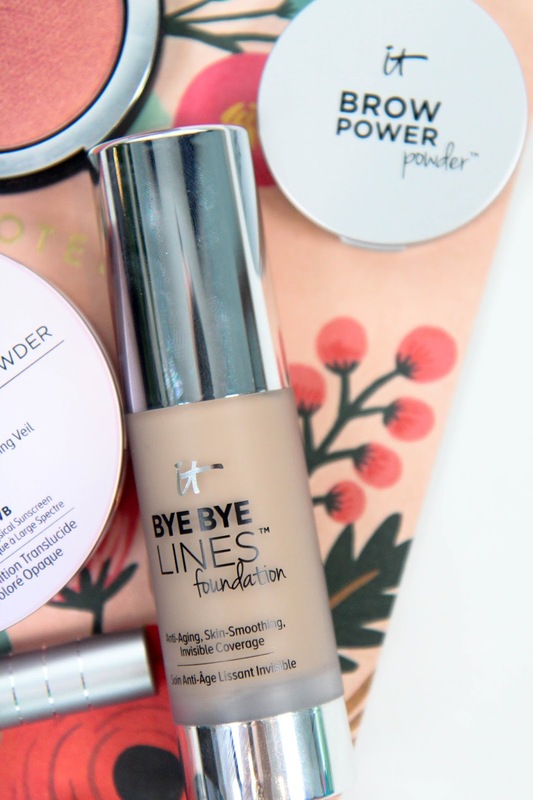 The Bye Bye Lines Foundation is just like that CC cream, but like two steps up in everything. It's color range is the same as the CC cream which makes picking a shade way easier. It has a lot heavier coverage while still feeling light on the skin while packing a serious punch in the dewy finish department. Usually throughout the day the hydration of a base product will die down, but this stayed the whole day. I felt like I had just put the stuff on when I took it off at the end of the day. It may be too dewy for oily skin girls though since my skin is particularly dry and enjoys any sort of hydrating product. At first the Bye Bye Pores Blush in "Sweet Cheeks" seemed a bit too glittery for my taste, but since I was in full on testing mode I plopped it on my face. It's downright gorgeous. The "glitter" creates a lovely sheen to the cheeks like a highlight would but without the fuss of another step. It adds another layer of glow to the skin with a very flattering flush of color. The lasting power of this line of blush rivals Tarte. Seriously impressive. 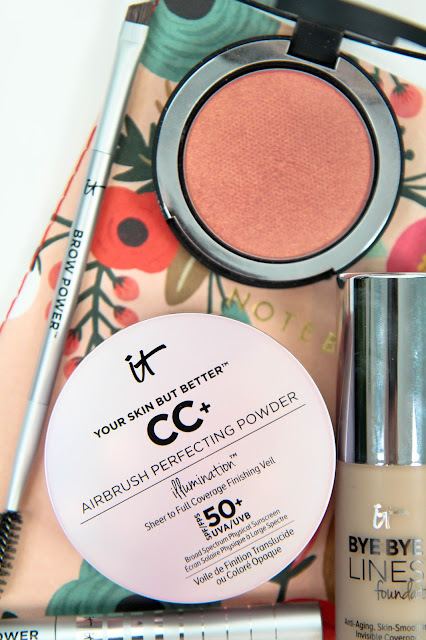 The CC+ Airbrush Perfecting Powder is another new launch that surprised me. Most powders I use settle into the dry spots on my skin regardless of what they boast on the tin, but this one has such a fine pressed powder that no trace of it lingered on my face. It set my under eye makeup while adding a really nice iridescent glow everywhere else. This new range is all about the glow apparently and I'm digging it. I haven't been the biggest fan of IT Cosmetic's concealers in the past as they've just been too heavy for me, but the Concealing Pot is a whole lot lighter on the skin. 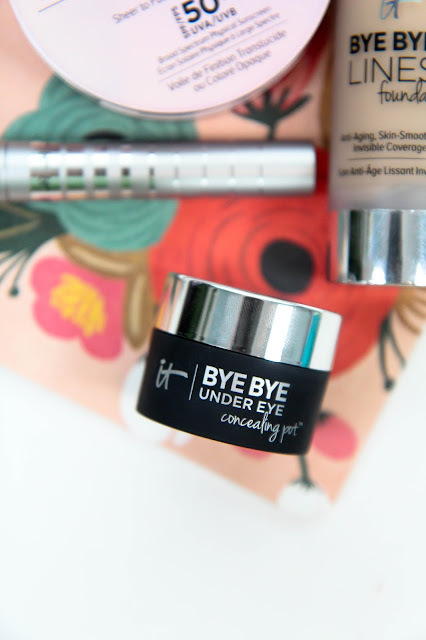 I personally love a good potted concealer health-concerns be dammed and this one is the perfect peachy cream to eliminate under eye circles. I've been working with the shade "Light" which may be a bit on the lighter side for my summer skin, but it can be built up for more coverage where needed. Plus I'm too lazy to bring out another concealer so I've been using this to cancel out redness elsewhere on my face with satisfactory results. 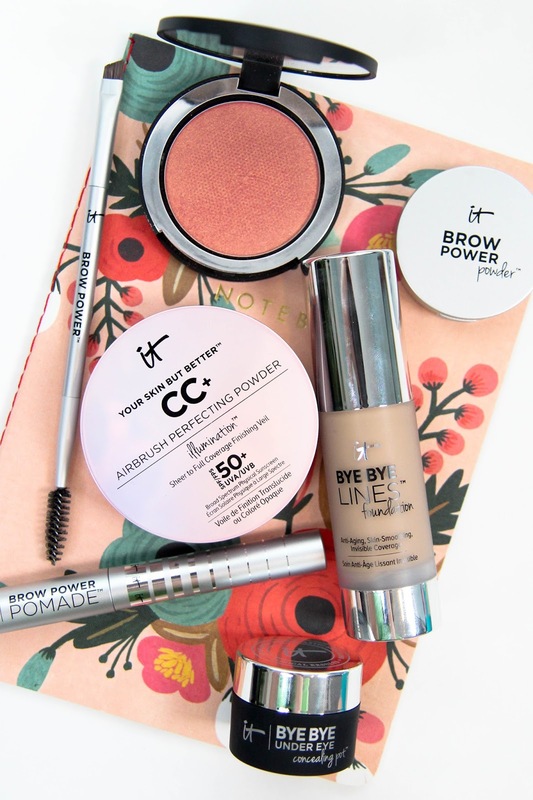 Overall I'm super chuffed with the new IT Cosmetics launch and have found a lot of fast favorites in the mix. They've really shaken up my makeup routine in all the right ways and are definitely worth a browse the next time you're at a counter. What are your favorite IT Cosmetics products I have to try?